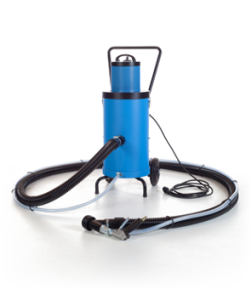 LTC International BV has grown into a leading, innovative and service company that manufactures, offers, rents and maintains a complete range of vacuum blasting machines since 1985. Our success alongside reliable products, partly due to the wish to invest in a solid long-term relationship with our customers . LTC International BV stands for consistent quality and care for the environment. We always keep looking for innovative products and techniques. Follow LTC International on Facebook or LinkedIn en watch our movies on Youtube. Compact electric / pneumatic injection blasting machine. Electro / pneumatic driven injection blasting machine. View our products in detail.